Given all the migraines and headaches that she suffered, Saint Gemma can certainly be considered a patron Saint for those who suffer with headaches, along with St Teresa of Avila and a few others. Gemma suffered with severe headaches for three reasons- firstly because she was diagnosed with spinal meningitis (or possibly spinal tuberculosis), and she developed large tumors along her spine, which lead her to the brink of death in the Spring of 1899, prior to her miraculous cure. Those who are familiar with spinal diseases know that they can cause severe, debilitating migranes. Additionally, for various reasons the doctors thought she also had a brain tumor. And thirdly because she was given the mystical grace of receiving the crown of thorns. Because of all of these conditions, St Gemma suffered atrocious headaches. And because her spinal disease was continously progressing for the worse, she initially could still walk and began wearing a iron back brace, but soon she became bedridden and almost completely paralised, able only to move her head and arms a bit. During this time she said to Father Andrew Bartolini: "See I am crucified. I cannot move." Initially her Physician, Doctor Del Prete repeatedly lanced the tumors along her spine, and injected them with glycerine, but as she continually grew worse he consulted with other physicians who together decided to cauterize her spine in 12 places. "....but the months passed, and I did not get any better. On January 4th (1899), the doctors tried another remedy. The cauterized me in 12 places on the spine. That was enough. I began to grow worse. Besides the usual pains, on January 28 I began to suffer with an unbearable headache. The doctor whom they called said that it was very dangerous (he called it a brain tumor). They could not operate because I was suffering with extreme weakness. I grew worse from day to day, and on February 2nd they brought me Holy Viaticum. I made my confession and I was waiting to go and be with Jesus. It seemed that it would be soon. The doctors, thinking that I was no longer conscious, said among themselves that I would not live until midnight. Blessed be Jesus!" Her severe headaches lasted for months, until her miraculous cure on March 3, 1899. Immediately after her cure she said: "When I was alone in the room afterwards I was able to raise myself to a sitting position, though I could not yet stand up. But, I felt very well because I no longer had any more pain in my head." 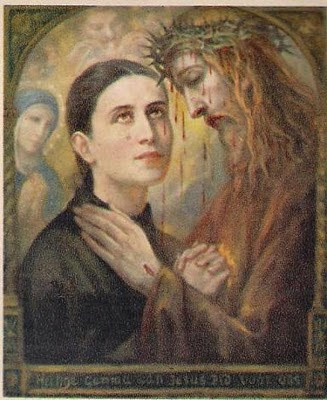 But this was not the end of her head pain and migraines--now she was to suffer tortuous headaches stemming from a mystical grace- the Crown of Thorns. The severe migraines stemming from her spinal meningitis and brain tumour were only a precursor of the violent headaches and head pain that she was soon to suffer. After her miraculous cure God called Saint Gemma to be a "victim soul", that is, she was especially called to suffer in body and spirit for the conversion of sinners, and in reparation for sins. In other words, she was called to help Jesus for the salvation of souls. To accomplish this mission, God would give her a share in the innumerable sufferings of Christ, beginning particularly on Thursday evenings until Friday afternoon. It was the Passion renewed, in a lesser degree, in the body and spirit of the young virgin Gemma. In this mission of suffering in union with Jesus for the redemption of sinners she was given the Stigmata, along with the Crown of Thorns. It is this latter, and the atrocious head pain that it caused, which we will now focus on for this article. "A little strength, a little courage comes to me when I feel Jesus at the hour when he places the crown of thorns on me and makes me suffer until Friday evening, because this I offer for sinful souls, especially my own. 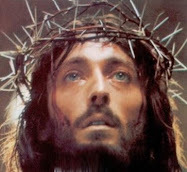 This is how things went yesterday evening, Thursday; I thought Jesus would do like usual that evening: He placed the crown of thorns on my head, the cause of so much pain for my beloved Jesus, and left it there for several hours....How He was afflicted! And the cause: for the many sins committed, and the many ungrateful souls whom He assists, only to receive in return exactly the opposite. Of this ingratitude how much I feel guilty myself! For sure, Jesus must have spoken of me. As usual, that night I cannot sleep because I am united with Jesus, united more closely than usual, and also because my head aches a bit; I kept vigil together with my beloved Angel." "This Friday I suffered even more, because I had to do some chores and at every moment I thought I would die. Indeed, my aunt had commanded me to fetch water: I felt so exhausted I thought the thorns went into my brain...and a drop of blood began to appear at my temple. I hurriedly cleaned up so she barely noticed it..."
"I be­gan my prayers and immediately collected myself. For a while I had been feeling ill. I stayed all alone; when I was suffering Jesus wasn't there and I suffered only in my head. My confessor asked me this morning if I had had the signs, [Stigmata -editor] and I said no. They hurt a lot but not compared to my head." "Tonight Jesus placed his crown on my head at about 10:00, after I had been collected for a little while. My suffering, which in no way equals Je­sus', was very strong: even all my teeth hurt; any movement brought a sharp pain; I thought I could not resist but instead I did, everything went well.I offered those little penances for sinners and in particular for my poor soul. I begged Him to return soon…"
"On Saturday evening, I went to make a visit to the most holy crucifix. There came upon me an ardent longing for suffering, and with all my heart I implored of Jesus to satisfy me. And, since that evening, He has granted me a cease­less pain in my head, but such a violent pain! And I am almost always crying through fear of not being able to bear it." "Saturday I went to make a visit to Jesus Crucified. There came to me a strong desire to suffer and with all my heart, I asked it of Jesus. And Jesus that evening made me have a very violent pain in the head, and blood almost came; but I was almost overcome and afraid that I would not be able to endure it. Tonight I suffered all night; I asked Jesus if I might have a little peace; and He gave it to me. I do not know whether Signora Cecelia saw me at this time; since yesterday evening I have been with her at her home, as you know. If you think it wise, should I ask Jesus to alleviate a little the pain in my head? Tonight I told Jesus that I really could not bear it any more, and He replied to me: "My daughter neither am I able to endure any longer the evil that is done Me; this is indeed a time of wickedness [it was carnival time] which I am no longer able to tolerate. You with your suffering bear the punishment which My Father has pre­pared for so many poor sinners. 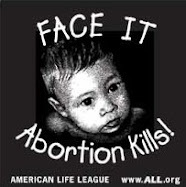 Will you not do it will­ingly?" I said yes, but I was afraid of not being able to stand it. He said: "Do not be afraid, I will make you suffer, but I will give you the strength to endure it." Now I am satisfied and even stronger. I ask for your blessing and pray to Jesus for poor Gemma"
"Do not be afraid, I will make you suffer, but I will give you the strength to endure it." So whether our suffering comes from the Permissive will of God, such as in Gemma's meningitis and brain tumor (that is indirectly, just as in most of our illnesses), or the Ordained will of God, that is directly, such as in Gemma's Crown of Thorns, God always gives us the strength to endure it, and even more so when we ask Him in loving prayer. ~St Gemma Galgani, pray for us! Every evening before i go to sleep, I get a headache. 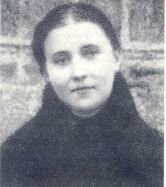 ..Please pray for me St. Gemma Galgani. May I have the strength to suffer with my afflictions with the grace of Jesus Christ. i suffer from severe migraine disorders and intense neuralgia pain. It gives me great hope to know I can pray to St.Gemma for help and endurance. It is nice to meet you. Thanks for your message. I am sorry to hear of your chronic headaches and also the problems with your son--this is a very difficult cross to carry. However I am glad to hear that Jesus has led you to St Gemma and that you are inspired by her holy life and her great love for Jesus and Mary. As you have read, Gemma had a most extraordinary love for Jesus; her heart was all on fire with the love of Jesus and she expressed her love for Him so well in her writings. For as you have discovered Gemma is a very "lovable" Saint, and those who begin reading her life and writings (diary, autobiography, letters etc) soon become enraptured and are greatly inspired by this "Gem of Jesus", and many have found her to be a very powerful and devoted friend and heavenly advocate--especially those who like you suffer from migranes/headaches, for Gemma too suffered from these greatly during her long illness, so she can certainly sympathise with what you are experiencing. And yes, you can certainly pray that Jesus may take your headaches away if it would be His holy will to do so. But most of all ask for the grace to accept His will, whatever it may be. I pray that St Gemma may intercede for you and help with your chronic headaches, and may she lead you ever closer to Jesus. And, may God bless you and your loved ones. hello, this is my first time entering this website. my brother has horrible cluster headaches and suffers every morning from them and even sometimes at school and has to leave. please pray for him! hello, where is the novena for headaches? There is no specific prayer to St Gemmma for headaches in particular, but many of the prayers in the Prayers section of this website have a "mention your specific request-intention" as part of the prayer(s). You can find the Prayers section of this website on the right hand side column towards the bottom. This is a support group for people with chronic headaches. It has been very helpful to me. God is the true healer and he is still healing people in this present day. I pray that Jesus heals all of you that suffer with headaches. I beseech St. Gemma to intercede on your behalf to God the Almighty for his mercy and love. i also ask that you pray for my wife, that her daily headaches are not what God intended for her in this lifetime. And that with His love and mercy she too will feel the Miracle of Healing that only Jesus can provide. Hey there, I am a college student and my headache routine is every time come home, it start with like pinching in brain and suddenly it goes like crazy, I been doing every ting I can but it's not working. Please pray for me I am in so much pain as I am going through college. St Gemma pray for me I've been suffering for 2 years with left sided headaches that range from the ear, temple to the front of my head. I have been on many medications, had to quit my job and I have a 3 year old. I've seem many doctors and spent thousands of dollars and nothing seems to help. I do not know where to turn but to you. Please help heal my pain. St Gemma is my patron saint and we share a first name as well as sharing headaches! I've lately been getting ringing in my ears and daily headaches so I'm going to pray to St Gemma and St Teresa of Avila for help. Even if this doesn't resolve, I pray I can endure the suffering and offer it up to Jesus. My prayers are with you all who suffer. Thank you Glenn for this website and spreading devotion to this wonderful Saint. May I ask prayers in intercession to St Gemma for our son's wife, Melissa please. She suffers from migraine headaches and does so very graciously. We would not know it but our son tells us. They have an 18 month old child and Melissa works, but it is difficult, of course with these headaches. Please st gemma pray for me im suffering with headaches all the time in the back of my head I need your help. I'm asking for prayers please, here's my story. Before mothers day I innocently asked to become a saint so other mothers who were struggling could have someone to pray to, well on mothers day I got my very first panic attack that basically has not ended, it's 24/7, along with anxiety that I've never had and now I have very bad head pressure that is very scary as it feels like I'm going to die every second, I have 4 children that need me, my marriage is crumbling due to this, I desperately want this to end, I had no idea what I was asking for, I didn't realize I would lose my family in the process, I love my family so much and I'm watching it all being taken away from me due to this condition, I'm sorry to ask prayers for myself, I do not have the will or strength to endure this pain any longer, also I don't feel Jesus one bit through all this which makes it even worse. Any comments or suggestions are greatly appreciated, I'll pray for you as well. Thank you for your comments and for sharing a bit of your journey here. I pray that Jesus may stregthen and heal my daughters long standing headaches.l pray believing and trusting in Jesus name Amen. I pray for healing for my daughters chronic daily headache that she has had for the last 2.5 years, I ask our dear Lord Jesus to heal her through the intercession of St. Gemma and our Blessed Mother, always trusting in the divine plan of God for her. Amen. Hey everyone. I would greatly appreciate it if you prayed for me. I've suffered from chronic migraines for almost four years. For the past five or so months they have been less severe and less frequent. However, recently they have been coming back and stronger than ever. 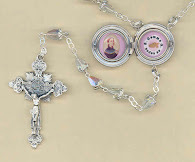 Please ask for St. Gemma's intercession and our Blessed Mother. Pray for me to have the courage to accept God's will if it is His will for me to continue through the pain if it will make me a better person and lead me towards sainthood. Thanks everyone. I will pray for you as well! Lord Jesus crucified, have mercy upon us! St Gemma Galgani, pray for us! I have had migraines for about four years now. I have had a headache on my left side for about a week and a half now. St. Gemma, please help to intercede my prayers for health and healing. Please pray for my daughter who continues to suffer with migraines since high school. She is a mother of 3 active children and is 38 years old. She works full-time and has a very busy life but as you know migraines can make your life miserable. She has tried all meds and nothing helps - continuous doctor visits and now high blood pressure along with horrible debilitating migraines. Also my other daughter's husband suffers from migraines as well. He is a coach and a teacher and his migraines cost his time from work and much time trying to sleep. 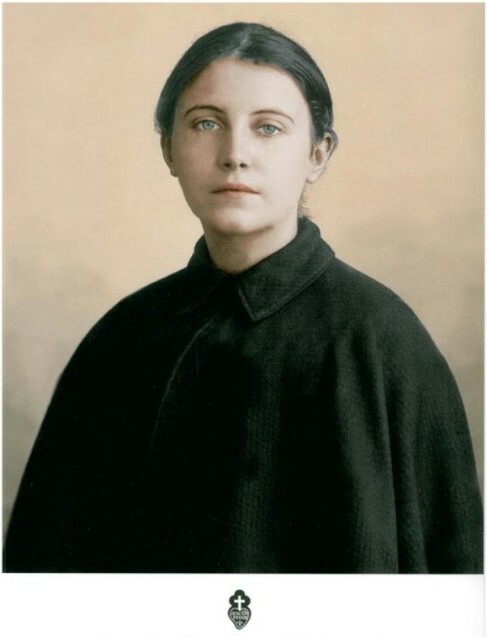 St. Gemma Galgani please send your prayers their way. I ave begun experirncing migraine headaches and I pray the Loed have mercy on me and take them away so i can care foe all who need me!!! Tiffany Lape it is a blessing for us to go through a suffering but i understand how much pain one goes through for my mother has this same situation. I feel pain emotionally when I see her sighing and laying down to have relief. I pray for her and I will do the same for you. Here is a message from Saint Faustina “Suffering is a great grace; through suffering the soul becomes like the Savior; in suffering love becomes crystallized; the greater the suffering, the purer the love.” (#57, page 29)GOD bless you and all of the people of this world AMEN. Dear St Gemma, I pray wholeheartedly that you intercede with the debilitating headaches and extreme nausea my dear sister Çarole experiences quite frequently. She has seen a physician and tries to follow the correct diet and other lifestyle measures to reduce the frequency. Both of our parents have passed away and I know the sadness may contribute to also. My 18 year old has been suffering with new persistent headache for 3 months. I know others have had them longer, but that doesnt help him. He has suffered through stuttering, depression and anxiety almost his entire life. This is just one more thing on the pile for him to endure he is just starting his life: graduating from high school and starting college in the fall. he finally had his stuttering and depression under control, and now this. It seems like every time he is in a good place, he gets knocked down. I have to admit my faith is starting to falter. I cannot understand why a loving God would do this to such a great young man, who has endured these issues and earned academic scholarships and eagle scout. I am turning to St. Gemma and others on the site for prayers, and wonder if anyone has been relieved or cured through her intercession. I am sorry to hear of the various health struggles that your son has been going through. For sure such painful crosses can be very difficult to bear. I have been a headache and migraine sufferer for over 25 years now. I too feel like I have a crown of thorns. Please pray for me that I may find the cause and get some relief, or that I may be able to bear the pain through Christ's will. Some days I feel like I can no longer cope. Please pray for my strength to endure. I've suffered with migraines during adolescence and now again for the past 10 years since my 50's. I get them for 3 days, starting out usually as just a headache, but then the ache will settle & intensify in the same spot over the next two days. The 3rd day is always the worst & most debilitating. Then after 3 days of hell I wake up on the 4th day & its like it never even happened. I'm just fine. It doesn't matter what I do or take, nothing seems to quell the pain. I'm not willing to take highly addictive narcotics that put me to sleep & unable to function. Cannabis helps dull the pain somewhat & seems to relax & soothe the tension & anxiety that comes with the migraine just knowing what I'm in for, but like I said nothing removes the constant aching pressure compounded by occasional sharp bursts of intense pain from light, sound, or movement. So since I'm going to be having the pain anyway, I might as well make some good use of it. I'm no saint. I've asked many times to be free from this cross. I watch my diet, drink plenty of fluids and have a plethora of natural, healthy, home remedies & treatments not only for when I'm having a migraine, but to try to prevent them. I read articles & try to educate myself as much as I can as a self-help approach to at least remove things I may be doing that unknowingly exacerbate or trigger migraines. I just figure as long as I'm doing everything I can to help myself, then the rest is up to God. I've only had 3 episodes since I discovered St. Gemma & each time I have offered her my sufferings to unite with hers and offer them up to Jesus. I haven't really noticed much of a change in the migraines, but I have noticed a change in me for the better. I have suffered with awful headaches for nearly ten years now. I have tried all sorts of remedies, reflexology, reiki and a course of physiotherapy. I have completely altered my diet and tried to worry less - I am a worrier. For some reason, this morning, after a bad day yesterday I wondered about a patron saint for headaches/migraine. As the previous comment said as long as Im doing everthing to help myself, the rest is up to God and Saint Gemma. Holy St Gemma please help me todsy let this migraine go away I have to much work to do in my job I can't concentrate with the pain, please let me find a remedy for this pain. Thank you God Bless. Pray for my 45-year-old husband whose chronic migraines took away his ability to practice medicine. Pray for me, his wife, who must witness his suffering and bear the hopelessness caregivers sometimes feel. Pray that St. Gemma will intercede for us. If this is the cross we must bear, please give us stamina and faith so we may endure until we can be reunited with God in eternity. May we be His humble servants. Amen. saints for the sins and sinners of the world. Saint Gemma Galgani please pray for us. I will pray to St. Gemma and to our Blessed Mother to intercede for you and your loved ones. May you see that your suffering is a kiss from Jesus. May you find comfort in knowing that you are suffering, as Jesus did for us, and that in uniting your suffering with Jesus, you will grow in holiness as you grow closer to Jesus. I will pray for you and your loved ones at Stations of the Cross. May you walk through your passion with Jesus at your side. God bless you! I am so sorry that you suffer with daily headaches. Your ability to see your suffering as a gift from God is so inspirational and speaks to the journey you are making towards sainthood. Jesus asked us to "take up your crosses and follow me." You are doing just that. When you suffer, you are with Jesus and Jesus is with you. I will pray to St. Gemma to intercede for you and will dedicate my rosary today to all chronic migraine sufferers. God bless you! St. Gemma, today my only daughter, Catherine T. A., received a severe migraine that caused her to vomit twice. My darling wife, J.A., took her to Boys Town Clinic. Pray for my daughter's speedy recovery from this cross. In the Holy Name of Jesus the Lord. Amen! Please pray I receive relief from my headache and backaches. I thank all of you for your prayers. I've gotten very bad migraines, and headaches in general, throughout me adult life. I always pray for St.Gemma's intercession, for my headaches and for other people's. Since a recent spinal fusion I've had debilitating headaches that literally make me scream. MRI shows nothing. I have 2 little ones. I don't need endury, I need complete healing so I can care for my family. Please pray for my grandson who has chronic headaches and is 14 years old. He is a wonderful little boy who must take medication and has been so strong but is in discomfort. My sister in law shared with me this link and told me about St Gemma Galagani being the patron saint of Migraines and Headaches. I suffer from those periodically and take a lot of pills that may help but sometimes they don't unfortunately. I would like ask St Gemma to intercede for me to be able to go through these episodes and if it's God's will to stop having them all together. I pray for all those who took the time to write on here and shared their suffering. May the Lord shower everyone with his blessings. Thank you!